The weekend, oh right. Sorry yesterday morning got away from me a bit ... I started out with a phone call to my Mom first thing after arriving at work and fell down the rabbit-hole of twitter and facebook, watching and waiting for news on the fires in Cape Town. We had a pretty good weekend tho. They are definitely slowing down (well, except for maybe this next one coming up!). We stayed in and had home made pizza on Friday night ... I was still jealous I'd missed out on The Trucker's pizza the Friday before when I had barely been able to eat anything. Haha. On Sunday he was supposed to have cricket but because of the rain on Saturday afternoon it was cancelled ... but only after he got there cause theirs was the first game of the day. So he came home ad we went for breakfast and did the grocery shopping and then had a pretty lazy afternoon. We watched Whiplash. 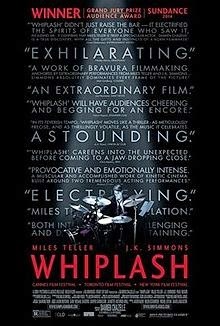 After being thoroughly unimpressed with Birdman, I'd heard Whiplash was really good ... although I knew nothing about it. I didn't really enjoy it and I didn't pay that much attention thru most of it. What I did do was get started on one of the Nursery DIY projects ... which I am super excited about :) (more when it's finished).